Tarneit North Kindergarten runs a 4-Year-Old Kindergarten program with a focus on building children's confidence and expanding their knowledge. At Tarneit Kindergarten our focus is to encourage the growth and development of every child. We believe in building strong relationships with the children and families. We aim to teach the children to be independent, responsible and respectful of each other and the environment. A play-based curriculum is provided to challenge and inspire every child. We will work on developing children’s social, emotional, thinking, sensory and physical development. 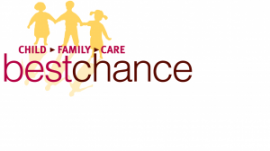 Tarneit North Kindergarten's Early Years Management organisation is bestchance Child Family Care.